Revolutionary Cake: EQ8 or not to EQ8, that was my question! EQ8 or not to EQ8, that was my question! The above picture was taken yesterday. It was a funny day yesterday, very quiet here. Everyone in the family, including the cat was off doing their own thing. I decided to have some alone time with EQ8, and keep working through the EQ8 Lessons for Beginners. I also had started to think through this post as well. So here’s the thing, I’m going to let you know why I came to EQ8 after all this time, what I think now both good and bad and then let you decide. At the same time, I’m going to let you know a wee bit about me and please let me assure you, there will be no over sharing! If you were like me, you’d be wanting a factual down to earth and practical review, especially if you are thinking about paying a reasonable amount of cash for a computer program that may or may not be what you want. I really hope this helps. OK, let’s get stuck in! A bit about me, because this is why I am sitting here now 19 years later writing about EQ8. I went to University (college) late, I was 28. I was so very fortunate, I was offered a place at three of my country’s major design schools based on my portfolio I had prepared. In the end I decided to go to UTS in the very heart of Sydney, with its brand spanking shiny new Design faculty and start of the art computer design labs. I loved Computer Design, I eventually specialised in Textile design both of the painted and computer rendered variety. I eventually wound up working in a textile design studio in the old garment district of Surrey Hills again in the heart of the city. The studio had a computer with some design software loaded on it, but none of the other designers had ever used it for Designing. I was the first Designer there to produce a whole slew of basic textile designs, stripes spots etc. The studio sold designs mainly to the fashion industry so the turn around time between times and seasons and colours etc was the grand total of 6 to 8 weeks and it was fast designing with the focus of producing fast fashion. Please don’t let anyone tell you with stars in their eyes how glamorous the fashion industry is, it’s a snake pit that chews up creative people and spits them out if they can’t become a viper. That’s what you have to do to survive in the industry, check your morals at the door and be ready to actively steal Other peoples ideas and get paid for getting away with it. I hated it. I got out and went to work in a Military History bookshop (as far away from Fashion as I could get), and I ended managing that store and it was one of the most interesting Jobs I have ever had. fast forward 19 years to me sitting here at my breakfast table on a beautiful autumn Sunday morning, with my iPhone playing a playlist of my favourite Jazz tracks. Here is the thing about folks who like to create things. That love of making NEVER goes away. 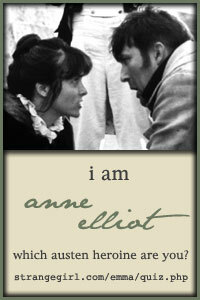 It can’t, it’s part of the DNA, the structure of stuff that makes you you, and me ... me! It’s absolutely incredible how life changes when a baby bursts onto a scene. I know that my life was turned upside down in the best kind of way when my daughter arrived in my life and how my attention became laser focused on the little person I had to care for. No sleep and potty training pretty much robbed me of any creativity I had BUT this was the time that I discovered quilting. I had thought it was the thing you did when you retired or had grand kids but there was so much going on in the quilting world that it seemed liked it could be done by all genders at all times of life and that was great. It fed my love of making and fabric, I’ll share the story of my first attempt of the very fist time I tried to quilt at 15, then 21 then put it away but here I was quilting with joy!!! 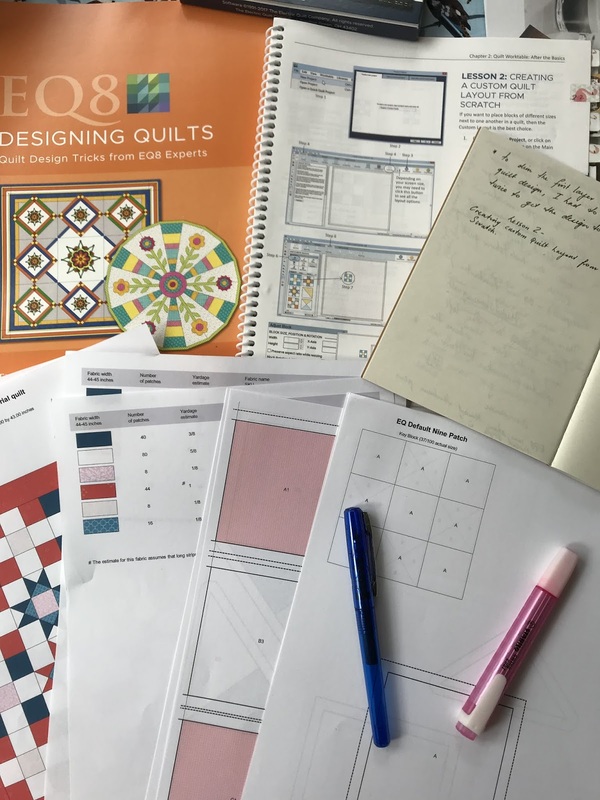 As my daughter got older, I was able to attend classes and begin exploring the many facets of quilting and then something happened. I started to design my own quilts and I started to think about designing fabric again. And I did. My studio upstairs is littered with various designs on the go. During this time, because just like you I read various blogs, spend ages on instagram and Pinterest, I have seen over the years folks of all stripes writing about EQ in it’s many different forms. It did peak my interest at first but back then,. And I can’t remember which version it was, only ran on a pc. Like most professionally trained Designers, we are Mac proficient. That was the case then. Might be different now but back then, if you were a designer you used a Mac, I still do. I could have used an emulator program to run EQ, but it would have been a bit of a problem, well buggy sometimes and not to great. I did try it out with the Dear Jane software, but I found that it got a bit painful in places (functions not working etc), program freezing, having to restart my Mac several times. I moved on. As I moved on EQ moved on. EQ kept cropping up in posts, articles etc. I then started to think about the design process and how process is used by me to design. I did start to look back to EQ, but this time I was thinking about how they program would hamper my creative process and if it was a program that could be used by me (to realise my quilt designs) OR is it the perfect program for folks who didn’t want to fully design on this platform but wanted a library of designs at their finger tips that they could add to as they wanted and never buy a commercial quilt pattern again. I’m being honest here. This is genuinely what I thought. There also has been some push back from using computers amongst some circles of quilters. Now this seems to be mainly associated with computer literacy and degreees of computer literacy. Computers don’t and never have, scared the bejiggers out of me. But I know folks of my age and not just older folks, who don’t get computers as anything but a necessary evil and a frustrating one at that. The quilting group I’m a part of and I love is all hands on and hands based. I like that BUT I also like to be able to switch between both hand and computer based design. When EQ slipped over to both computer platforms, I became a bit more interested in what they were offering but again, from a design process point of view, I was still not sure. To be honest with you, I really want to start professionally designing in the quilting sphere of things, and its something I’m now preparing to work towards and its because of this that I decdided to take the risk ... even though EQ has informed users that they have until Autumn this year to get EQ8 from running ing as a 32 bit application to a 64 bit application so it will run with the latest Mac OS, Mojave 10.15. One comment I read on a thread somewhere sounded very dire about this, and I have to say that in this era of trigger outrage, going direct to the horses mouth (EQ themselves in this case) was able to show me that these guys are on to it and I’m happy to wait for a patch. So I bit the bullet. I have to say that I was still unsure about what I had done right up to me loading the software onto the monster Mac in my husband’s study (my lap top has died ). I was waiting for a tradie (a contractor) to come to the house for something really boring and non design related, so I decided to se what the program was like. 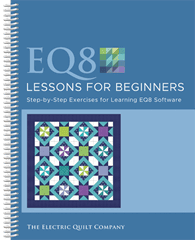 I had also bought the EQ8 Lessons for Beginners workbook. Now I’m no beginner with computers but I am a complete newbie when it comes to EQ and I have learnt enough software packages in my time to know that they are all different and to be able to get full usability from a package you need to learn from the beginning. 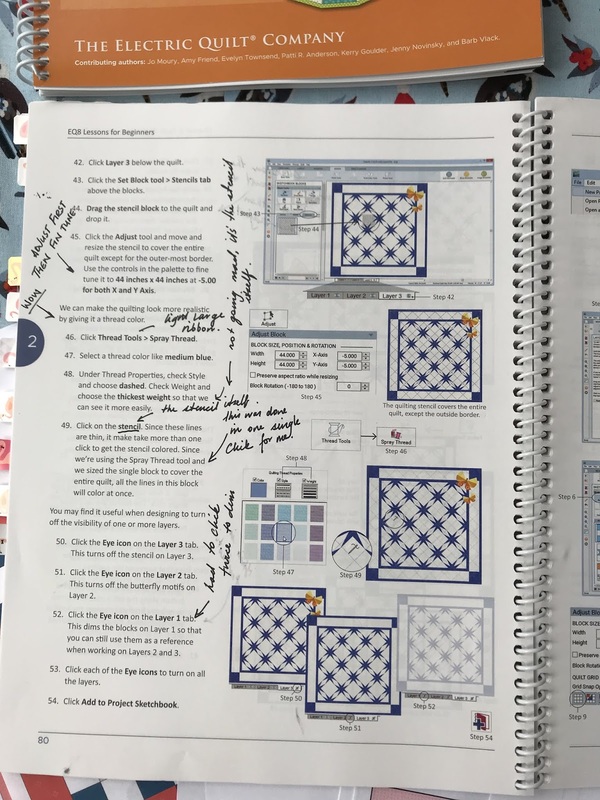 I like the fact there are lesson books because I can make notes, and I do, in the book and in a note book because that’s how I learn and build up my own reference guides in a format that I can understand and go to whenever I want. This is a great way to learn a new program. A workbook that lays out the basic functions of a program in an easy to read and use format in a book that lays flat. The book is broken up into lessons and then lessons within those lessons so you can do as little or as much as you want in a sitting. I encourage you to also have a note book beside you as well. Make notes in both books as you go, I have and it means that if I ever get stuck and I can’t remember something or strike an issue, I can go to my notes first before asking for other help. 9 times out of 10 this has helped me and saved time and frustration. How did I feel about the program now that it was loaded into my computer and I was starting to get a feel for it’s functionality? Had my fears been met or put to bed? To not sound too silly, I have been in a lather ever since. Just from the excersizes I have done in the program, I can see the possibilities for my designing and designing process and it’s incredibly creatively exciting. 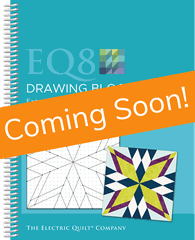 I am putting the finishing touched on a quilting range of fabrics I have designed and I am tickled pink about scanning in those images and adding them to EQ8 so I can design a quilt to go with them, and include that in my submission to the company I want to approach. That is just fantastic. That adds an element to my submissions that will show the possibility of what my designs could do, in a visual form that direct,my links to the market I want to design for in a language that the art director I’m hoping to impress will understand and see. For me, because I want to design my own thing, the possibilities are endless. This makes this piece of software very versatile. 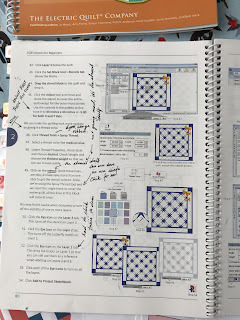 I have read reviews from quilters who want to use the loaded designs and tweak them or not, themselves and have loved the program for the ways that they can use it to some one like me who really wants the opposite, and the program can do this as well makes for a bunch of happy folks. Now I am one of them. 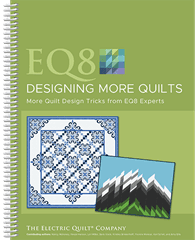 This is more advanced lesson book, with each lesson written by a prominent quilting who uses EQ for their designing. Kerry Goulder of Kid Giddy and Amy Friend of During Quiet Time are just two of the 7 designers included in the book (the 8th chapter is a refence chapter for tips and tricks). I get the impression that this will build on the basic skills learnt in the Beginners book. 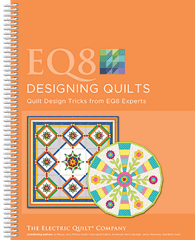 As soon as I have finished working through this book, I’ll work through the next two books : EQ8 Designing More Quilts and EQ8 Drawing Blocks. I figure that working through these lesson books will really get my proficiency in EQ8 well and truly up to speed which will then enable me to use the program the way I want to. You don’t have to do the same thing, you may not want to but it’s great to know that the tools for teaching the many facts of the program in a more in depth way are there if you want them. I love the program, I can see it’s value and I’m glad to have forked out the cash for it, watch this space to see what comes next. But ... there are a couple of points I would like to add and they are criticisms and hopefully constructive ones. The following comments are not meant to be mean or to distract from the power of the program but I feel I need to be honest. The EQ8 lesson book images I have used in this post are used with the permission of EQ and they have asked to read this post, so I am hoping they will read this in the spirit that the following comments are intended. A lot of programs now have online guides only, these are impossible to use and navigate through. I have found this with the latest version of Corel painter. A printed guide that can be flipped through is much more user friendly for those of us who learn this way. A non printed manual saves manufactures money but considering the cost that is paid for software by end consumers it seems a little mean unless the loss of that printed guide is reflected in the consumer cost of the program. I hope EQ have done this, but I did say that this is going to be an honest review, and this is something that I have found. I have also ordered the printed manual from the store I bought the package from. Yes, EQ provide the manual as PDF but again, this is not an user friendly way of having a manual to use. The manual is in colour, but as some of the features of EQ are in colour, and the manual and reference speak directly about colour as a marker for a function etc, the manual needs to be in colour. The cost of then printing that guide yourself at home on your computer or at your local copy shop has now become an extra expense on top of the cost of the program. For me to have the PDF printed at my local copy store was going to cost $166 Aus dollars, or over $60 aus dollars to print it at home (assuming that one colour cartridge and one black and white cartridge would do the job). I have paid the $50 aus for the manual or $34.95 USD because it’s essential. There are going to be a number of EQ users who won’t proficient in software use, and a lot of these folks will have various sorts of partners who will do all the “technical” stuff, for them a physical manual is vital and it will need to be at their fingertips. The PDF is tricky to navigate through and tedious. And not everyone will have thought to order the manual separately - some folks might even think that the mini guide in the box with the software license is the full manual and that could be an issue. The next issue I had has been with WINE. Nor “whine” or a nice glass of Chardonnay but the emulation program Wine. To run on a MAC, EQ have used Wine as a layer to run under EQ8 to enable it to run on a Mac OS. I had a recurring issue that saw me restart my Mac three times and then de-install EQ8 and re-install it. Loosing the tutuorials I had already done and the little bit of playing around with some colour palettes I thought would be good later on. The issue seemed to be with me trying to right click on a fabric image. That doesn’t seem to be something that Wine didn’t like very much and what’s more, according to the lesson book, when I did that (righ click on the fabric image) was supposed to bring up a dialogue box that would enable me to “save image as ...” This didn’t happen and made Wine have a bit of a moment that in the end after having the program freeze, and making me restart my Mac etc, saw me have to di-install and re-install EQ8 etc and then still not be able to bring up the box to “save as etc” which turns out to be a very useful feature because the only way I could do the step was then save them image manually throughout the various folders etc and then it was only saved in the EQ8 format. To be honest, that was a bit frustrating. Well, a lot frustrating and clumsy. I’m going to see if I can get a wireless right click mouse for the Mac, which won’t be tricky, to see if that fixes the issue but I suspect this might be a translation issue between Wine and the program itself. So on top of the manual, I now get to shell out for another piece of hardware, not too expensive but still a cost. For Mac users, and there are a lot of us now, and assuming that a right click mouse will solve the issues (almost all Mac users use the single click Mac mouse), it would be great from a purely cosmetic point of view and because quilters are like this, dear EQ, please give us a pretty right click mouse that works for both PC and Mac users and is lovely to look at. There are computer mice for all sorts of folks, let’s have our own that matches the software. Just because. My brother is a bit of a software expert, he is contracted to our government here to fix issues just like the issue I had and he said it could be fixed with a patch. Is this something EQ could look into? As far as the negatives I have found with EQ8, my two are relatively tiny and in no way detract from the positives I have found. It’s still relatively early days for me and my relationship with EQ8, so I will write more on this from time to time. For now, I’m over the moon and so very glad I have taken the EQ8 plunge. Let me know what you think! If you are intersted and want to know more, here Here is a link to the features you can expect in EQ8.